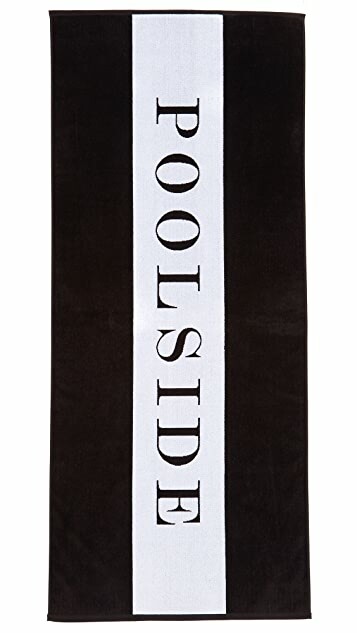 A two-tone CHANCE beach towel in plush terry. Bold 'Poolside' lettering details the front. Designer Julia Leach has spent her entire life immersed in art, fashion, design, and travel as the daughter of a French writer and a Midwest American potter. After working for over a decade as creative director at Kate Spade, Leach was ready to shape her own vision in her lifestyle brand, Chance. Chance striped tees are the label's signature, synonymous with timeless simplicity and a confident, yet relaxed sense of style. 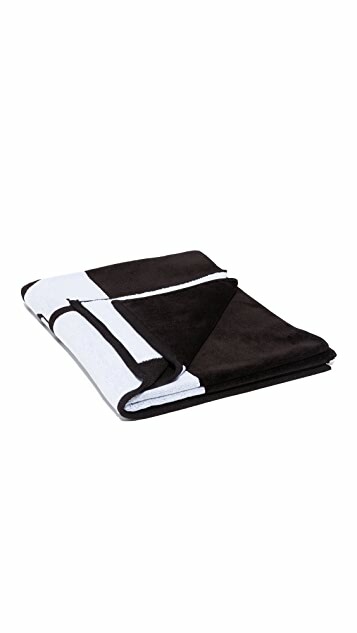 Leach translates that same effortless cool through graphic Chance beach towels and accessories, combining form and function to create thoughtful, practical designs.